The salmon are still running out at Goldstream so lots of people are going out to witness this amazing event. 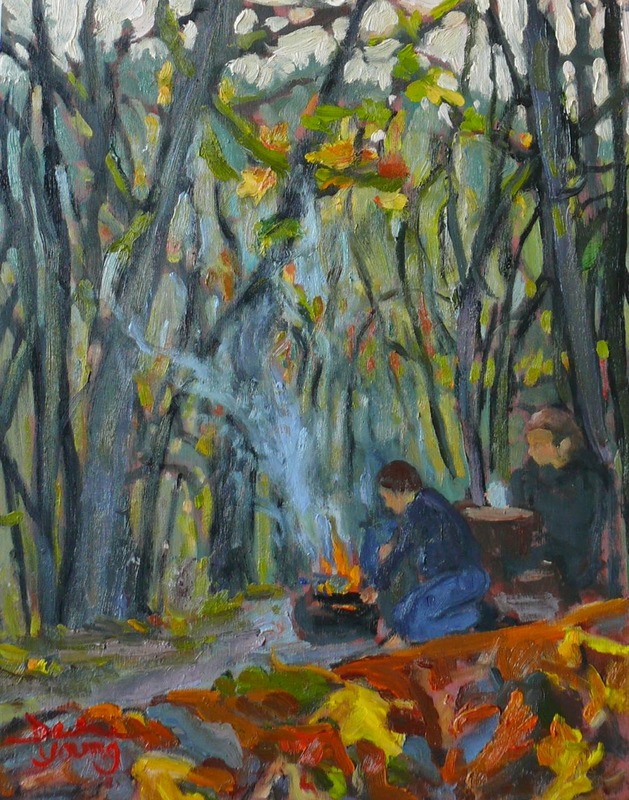 Here are a family enjoying a campfire under the trees. Last week i was with a group of people at Gold stream Park and there was a scene of people around a fire like this. Nice painting Darlene Young.